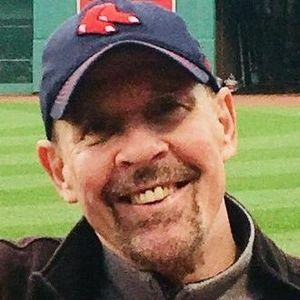 MILLBURY-Robert P. Lovely, 61, of Millbury, passed away December 30, 2018 surrounded by his family. Rob leaves his beloved wife of 25 years, Jill M. (Kaminski) Lovely; his daughter, Sommerly L. Borbone and her husband Christopher; granddaughters Peyton and Sophie Borbone and Analyssa Cunningham; and stepdaughter Ashley Cunningham. He leaves his brothers Vincent M. Lovely, Jr., Michael H. Lovely, and his twin brother Ronald P. Lovely; sisters Kathleen G. Bartlett, twin sisters Laraine P. Kingsbury and Lucille L. Biernacki, Sheila J. Bailey and Sherrie L. Tarquinio. He also leaves many nieces, nephews, grandnieces, grandnephews and cousins. He was predeceased by his brothers William P. Lovely and Steven G. Lovely. Rob was born in Worcester, son of the late Gloria R. (Trombly) and Vincent M. Lovely, Sr. Rob graduated from Worcester Boys Trade High School and worked as a talented cabinetmaker. He was a huge sports enthusiast. He excelled as an athlete in high school and in his youth, playing baseball in high school and in local baseball organizations. He collected baseball cards and was an enthusiastic supporter of New England sports teams, especially the Red Sox and Patriots. A Visiting Hour will be held on Friday January 4 from 10-11am St. in John's Catholic Church, 40 Temple Street. A Funeral Mass will follow at 11am in the church. Burial will be private. Memorial donations may be made to St. John's Food for the Poor Program, 20 Temple Street, Worcester, MA 01604. Arrangements in the care of Callahan Fay Caswell Funeral Home, 61 Myrtle Street. Add your thoughts, prayers or a condolence to Robert's guestbook. Your inquiry has been forwarded to Callahan, Fay & Caswell Funeral Home.